The award-winning Lagonita Lodge is surrounded by towering pines on the tranquil South shore of Big Bear Lake. The lake's charming village is less than two miles away, offering shops, boutiques and fine dining. Even closer is Magic Mountain Recreation Area, a favorite with kids in the summer or winter! There's a snow run for tubes, three straight runs and one snake-turn run. The Alpine Slide is great in the summertime. This quintessential mountain lodge offers guests huge deluxe guestrooms, most with gorgeous views of the lake. Each of the 98 uniquely designed one- and two-bedroom condos is comfortably furnished with warm mountain cottage décor. All accommodations have full kitchens, gas fireplaces, environmentally friendly bath amenities, satellite television and daily housekeeping services. In winter, nothing beats the skiing - downhill and cross-country. Two of Southern California's finest skiing hotspots, Snow Summit and Bear Mountain, are only two miles away from Lagonita Lodge. The resort offers ski storage, a cheerful fire in the lobby, and coffee ready and waiting for when you come in from the cold. In the summertime,, there's a marina and small boat facility. If you prefer to simply take in the beauty of the area, the patio offers serene views and an outdoor spa. Hire a bicycle and take a ride to the village. Relax in the indoor heated spa and pool or work out in the fitness center. With its rustic feel, you'll feel right at home the moment you arrive at Lagonita Lodge. Lake Forest Resort & Club fronts the world's largest inland chain of 28 freshwater lakes, and every accommodation in the resort has a memorable view of the water. The resort has recreation facilities, including a health and fitness center with pool, children's play area, tennis courts, fishing boats and canoes and much more all for your use while you enjoy your stay. At 1200 square feet with two bedrooms, two baths and two levels, the condominiums are spacious and sleep six comfortably. Each condo has a full size and very well equipped kitchen, wood-burning fireplace, patio with table, chairs and charcoal grill, flat screen TV with Blu Ray player in the living room and TV in the master bedroom. All linens, paper products and basic kitchen supplies are furnished. Laundry facilities are provided in each building. Being close to the Nicolet National Forest and adjacent to the Lake Forest Recreation Area, 212 acres of North Woods beauty, adds many amenities. The area is noted for scenic cross-country skiing and is rated as one of the premier snowmobiling areas in the country. With 1100 feet of frontage on Voyager Lake, the resort is the ideal location for swimming, boating, fishing, canoeing, and other water sports. Eagle River, Wisconsin is the Snowmobile Capital of the World®, and home of "The Eagle River 500." Many bald eagles are sighted here, thus giving the name "Eagle" River. The lakes are known for their trophy-sized musky, but you 're also bound to catch walleye and bass. 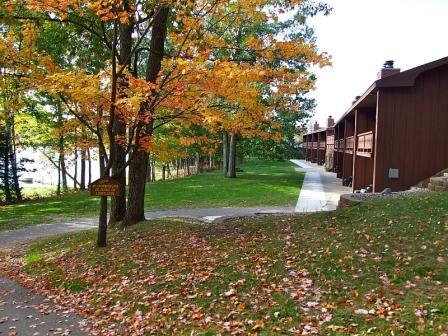 Whether you are fond of fishing, boating, hiking, wildlife watching, snowmobiling or just plain relaxing, Lake Forest Resort, and the Northwoods of Wisconsin, offers something extraordinary for everyone. Say 'Pigeon Forge,' and images of family fun spring to mind. The pretty mountain town is known for magic and music, shopping and all sorts of family-style amusements. With a beautiful location in the foothills of the majestic Smoky Mountains, your Tennessee vacation destination in Pigeon Forge means excitement and spectacular scenery. 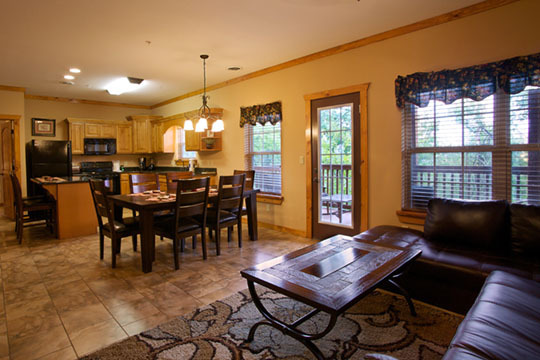 The Lodges at The Great Smoky Mountains offers family luxury, cabin-style with spacious lodge floor plans in the heart of Pigeon Forge and The Great Smoky Mountains. Impeccably-appointed with luxuries and distinctive touches, there are no finer luxury cabin-style vacation rentals available in Pigeon Forge. Impeccably-appointed with luxuries and distinctive touches, there are no finer luxury cabin-style vacation rentals available in Pigeon Forge. Choose a one-, two- or three-bedroom unit. The spacious two-bedroom cabin includes features such as two master suites, two private baths with large jetted tubs, a fully-equipped kitchen, spacious living and dining area, a rustic fireplace, LCD flat panel television/DVD/CD player, cable television, hi-speed Internet access, hardwood and oversized tile flooring. Guests will also enjoy a spacious, screened-in porch complete with wooden dining table and slant-back lounge chairs. All linens are provided. The two-bedroom lodging has 1547 square feet and accommodates up to six guests. There is an elevator, but ground level units are available, as well. Future planned amenities include a clubhouse and indoor waterpark. Toast marshmallows by the fire, relax in the comfort of your special lodge, and recharge. There's another busy, fun-filled day ahead. What will you do? The choices are limitless - from Dollywood® to outlet shopping to the Great Smoky Mountains National Park! When the mountains call, answer with a vacation at The Lodges at the Great Smoky Mountains. 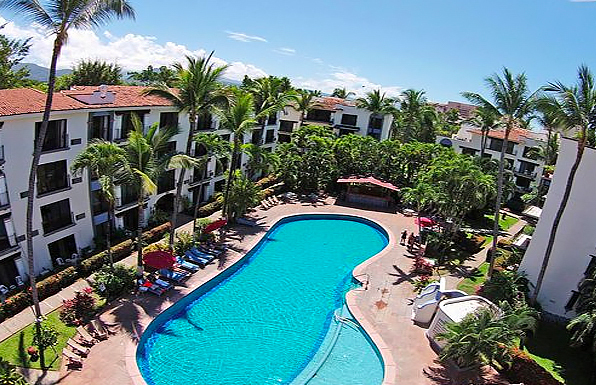 At Puerto De Luna All Suite & Spa Resort, in beautiful Puerto Vallarta, you will find the areas for relaxing in absolutely tranquility, surrounded by flowers and greenery creating an unforgettable vacation environment. A resort of seven buildings of four floors each, located at the heart of the hotel zone, only ten minutes from the international airport and downtown. Puerto de Luna All Suites Hotel's 50 air-conditioned rooms provide ceiling fans and phones. Guests can expect to find free Wi-Fi and TVs with cable channels. Free toiletries are also available. At Puerto de Luna All Suites Hotel, guests enjoy features like an outdoor pool, a children's pool, and free Wi-Fi in public areas. Free parking is included with your stay. The 24-hour front desk has multilingual staff ready to assist with concierge services, luggage storage, and securing valuables. Other amenities at this family-friendly hotel include a convenience store, a garden, and barbecue grills. Puerto Vallarta is one of the most popular destinations in Mexico and with good reason. Puerto Vallarta is situated on the coast of the Pacific and boasts some of the finest beaches and best resorts in the country. There is everything from bull-fighting and delicious taco restaurants to spectacular sportfishing. Couples, families and friends have been coming here for decades to let loose and relax. Not to say that Puerto Vallarta doesn't have fun activities. Whether you want something extreme like zip-lining or bungee jumping or maybe a family outing like sight-seeing or swimming with the dolphins, Puerto Vallarta is a great option for parties of all budgets and travel styles. It is the perfect place to enjoy a relaxing getaway.